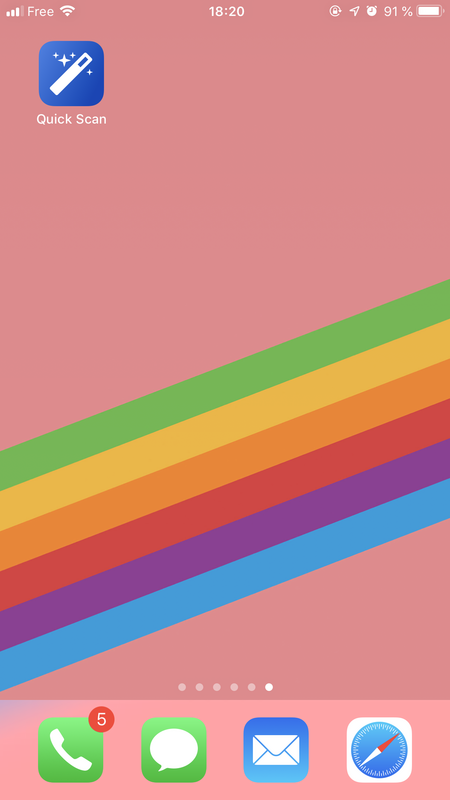 Siri Shortcuts let you quickly do everyday tasks — all with just a tap or by asking Siri. 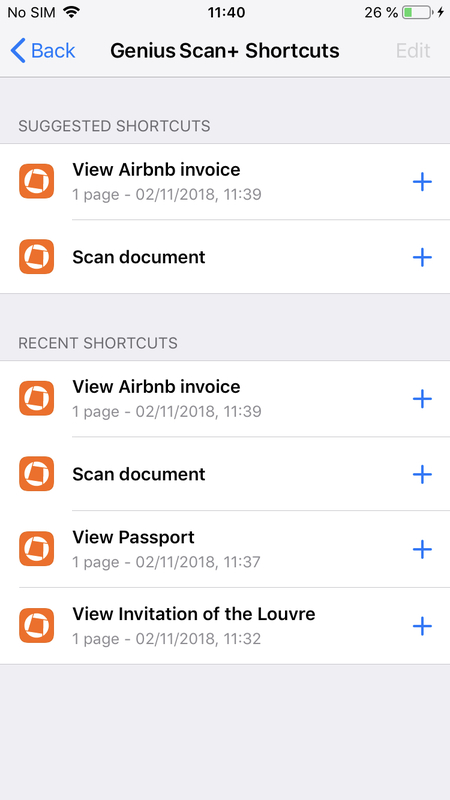 With Genius Scan, you can create your own Siri shortcuts to carry out specific tasks such as scanning a new document or accessing an existing document. 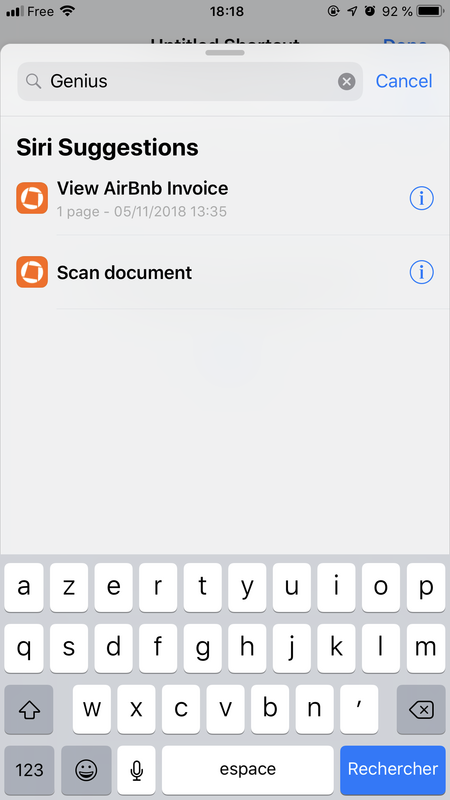 Since iOS 12, you can ask Siri to open documents scanned with Genius Scan such as your last Airbnb invoice or your passport. 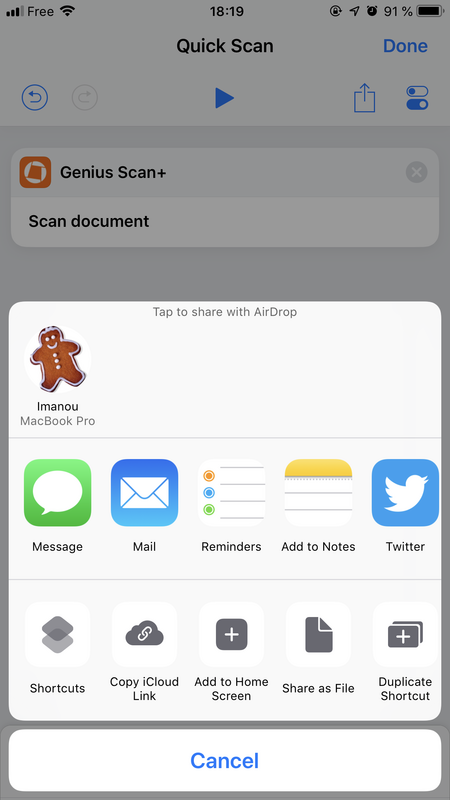 Open the desired document in Genius Scan so that it’s registered with Siri. Open Settings app. Tap Siri & Search > Genius Scan. Tap Shortcuts button to find all Genius Scan shortcuts available on your device then select a shortcut. 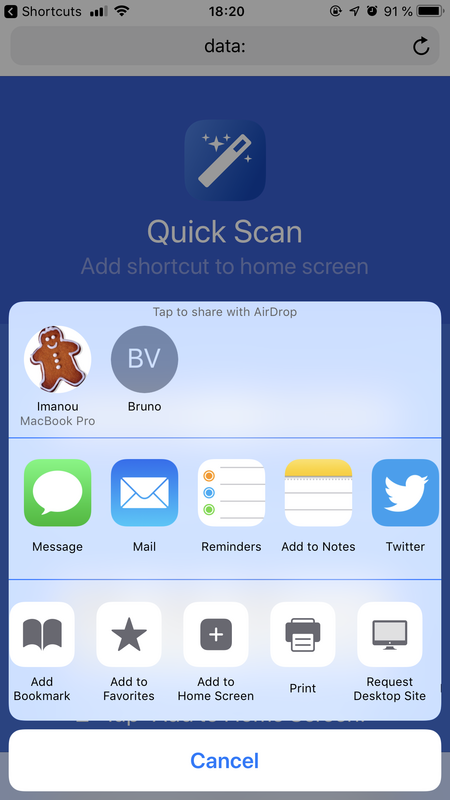 To record a personal phrase for your shortcut, tap Record button. Try to record a simple phrase that you'll remember then tap Done. 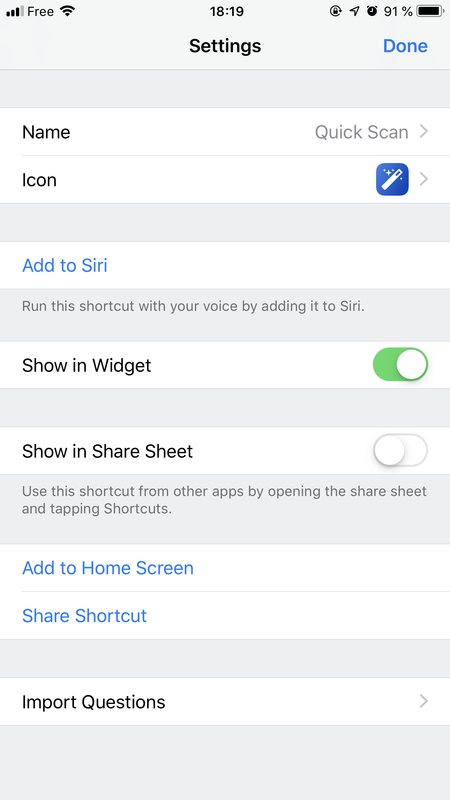 After you add a shortcut to Siri, you can run the shortcut by asking Siri your personal phrase. Just say "Hey Siri!" then say the personal phrase you created for the shortcut. Sometimes you need a quick access to your Genius Scan camera in order to scan new documents in a snap. 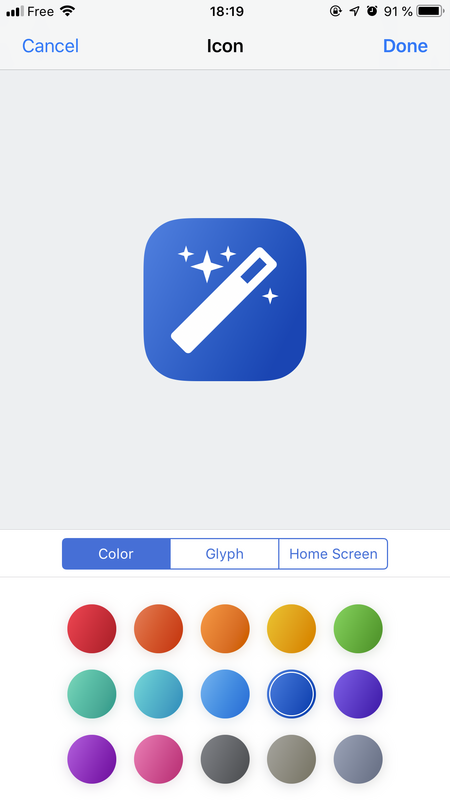 With Shortcuts app, you can create a shortcut that opens your Genius Scan Camera and add this shortcut to your Home screen. 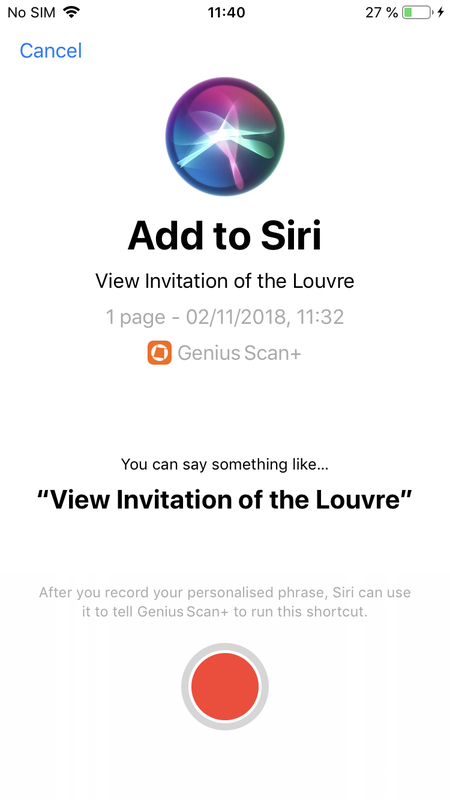 Open the Camera screen in Genius Scan so that it’s registered with Siri. Open Shortcuts app (you may need to download it first from the App Store if it's not installed on your device). Tap + button to create a new shortcut. In search field, tap "Genius". A list of your available Genius Scan shortcuts will be displayed. Tap Edit button (two-switch button), update the shortcut's title to a relevant one then tap Done when finished. Tap Share button then tap Add to Home Screen button. 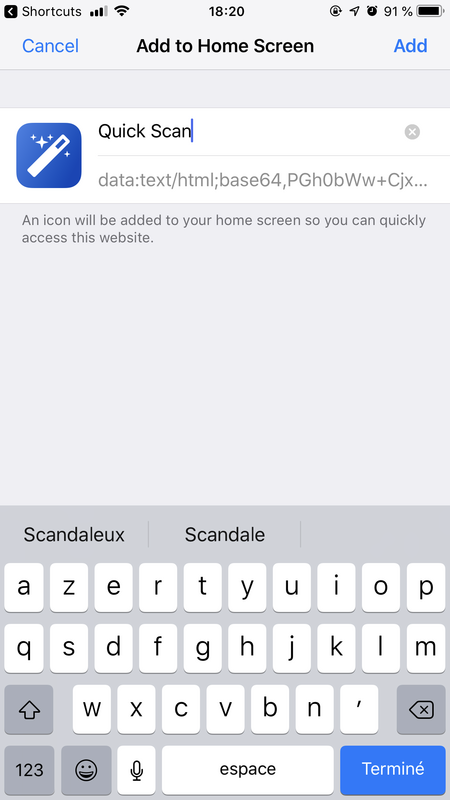 Customize your shortcut icon if necessary then tap Done button. A Safari page will appear. Follow the displayed instructions: tap Share button, scroll to reveal Add to Home Screen button then tap it. Tap Add button to add your new shortcut to your device Home Screen. 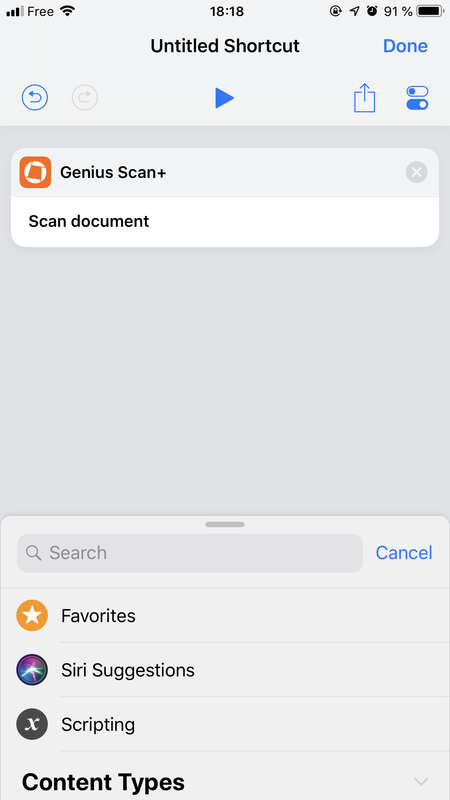 Now, when you need a quick access to your Genius Scan document, simply tap your shortcut icon: Genius Scan camera will appear, ready for new documents to scan.